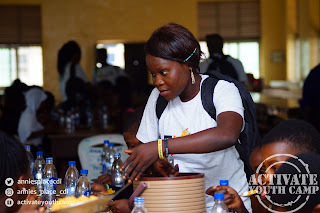 For these next seven (7) days, Activate Youth Camp (AYC) 2017 will gather champions from across Nigeria to transform their views of life and challenge them to positively face every difficulty on their way to success “Divergently” ready to achieve excellence. After the campers mingled with old friends and met new ones, they had lunch. They filed into the dining hall where a delicious meal of jollof rice and egg was served to them. The conversations dropped off as they started eating and picked up right after as they went into the hall for their first session. 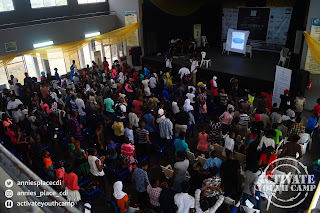 Segun Omooba opene d up this year’s camp in a splendid way with the first session. He really opened everyone’s mind to the importance of being observant and how that helps you to be Divergent. Using clips of a tire that had been converted into a cushion, he showed how seeing things differently could help you be a force for goodness and change. “It doesn’t have to be rocket science,” he said. All you really need is an idea that you execute in a way no one else does. 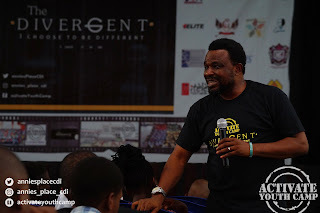 Mr. Taiwo Akinlami came up after him and, using his life story, he spoke to the campers about using what you already have in you to be divergent. “Your divergence begins now. It begins with you knowing that, right now, you have something,” he said. He taught the campers that all they need to bring it out is to know that it’s there. He also explained the importance of being grateful for what you have even as you strive to be better. 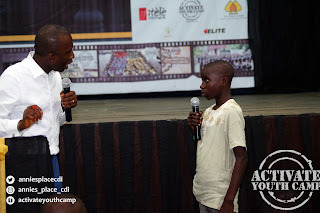 The session was very interactive and the campers asked lots of questions which were answered by Mr. Akinlami. On Journey of Guided Learnings, Peter Olusola Obabori, gave a lot of advice to the campers. Many of the things he said are in his book, W isdom Toolkit for Youngsters. 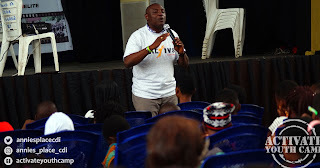 He said, “If you know where you are going, the road will open for you.” He encouraged the campers to make the right friends and to have power over peer pressure. 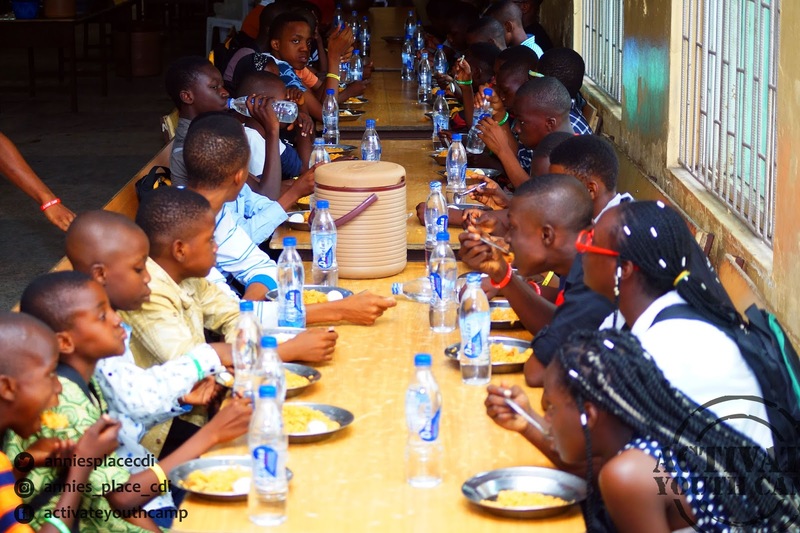 He also encouraged them to make sure they did not make their parents do anything negative by constantly complaining about their condition. After all, your beginning is not what determines your future like Mr. Obabori clearly stated. 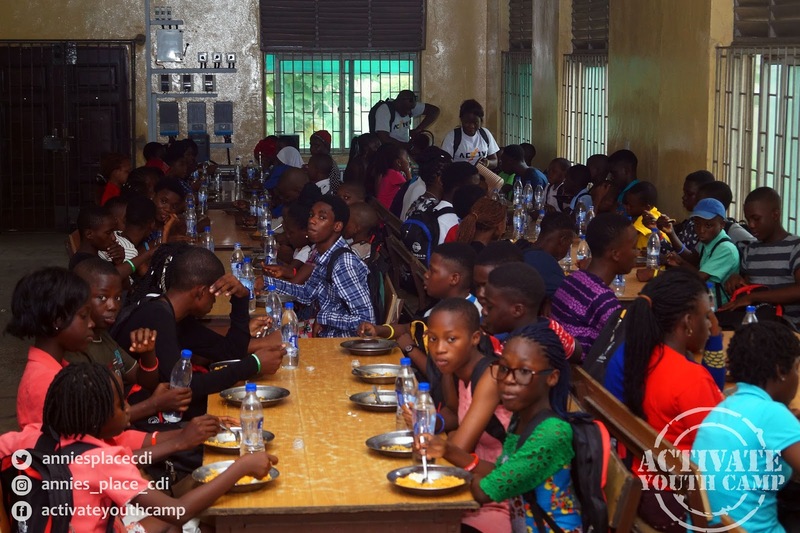 Soon after his session, the campers were ushered to their rooms after which they ate a filling dinner and then went off to bed. The day, which started in an awesome way, ended with much laughter, smiles and conversation amongst the campers. It was a day that we all enjoyed.